Do you think she loves fabric as much as I do? I think so. She's not quite three and is already asking me to teach her how to sew on my machine. And one of her favorite things to do is "make quilts" out my my scraps on the design wall. Cute! 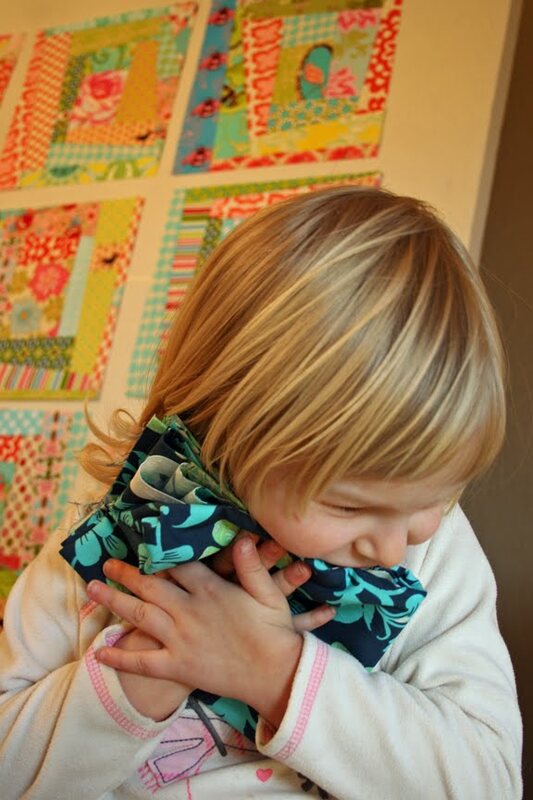 My little boy loves fabric too, and wants to hug the bolts when I take him to the quilt shop! perfect!!! it is best to start them early so that they never tire of going to the fabric store with you either. My son is 3, and he love fabric, too! He love fat quarters because they are little squares of folded fabric. He spent 30 minutes playing with and cutting thread last night. It's too cute! Right. 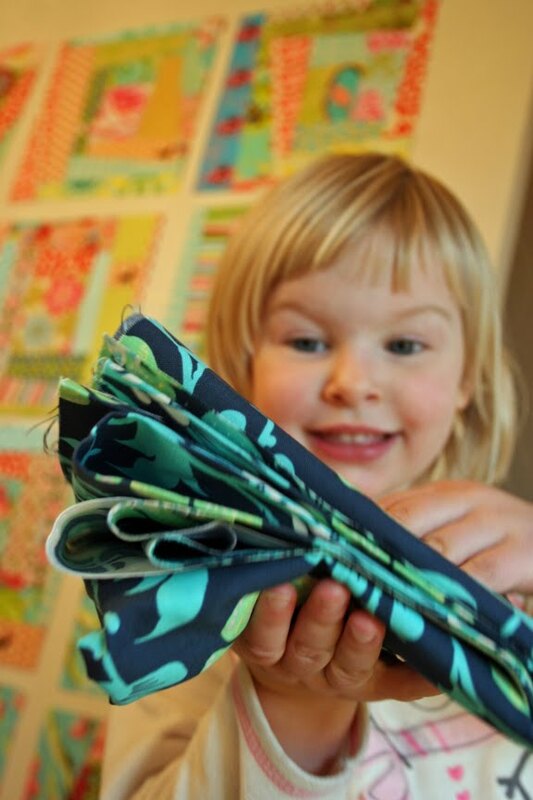 My kids love it when I get fabric. They call the UPS truck the "fabric truck". They are a bit too encouraging!